Unique to Dark Stag, this straight handled razor uses regular double edge razor blades meaning you can choose your favourite brand. 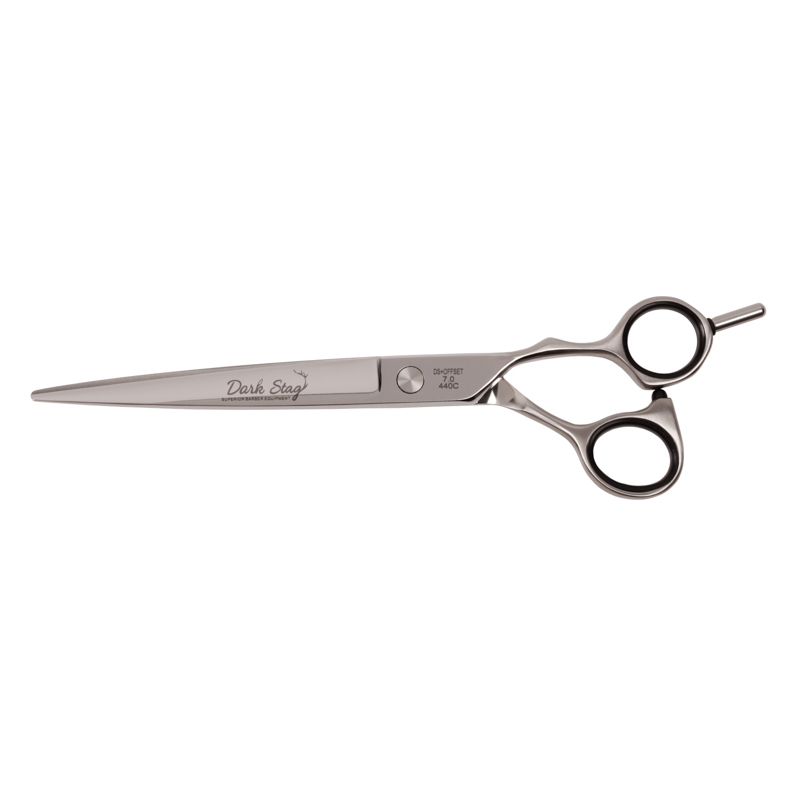 With one edge used per client this provides the most cost effective route to a perfect shave. The spring mounted one touch blade holding mechanism can be opened easily for cleaning and disinfecting. Changing the blade takes 2 seconds: pinch the head to drop out the used blade and pop in the replacement. The Dark Stag Kamisori Razor is our latest flagship product. The traditional Japanese razor design of this straight razor makes it perfect for shaping, styling and shaving your customers (or your own) beards and ‘staches. Changing the blade takes 2 seconds: pinch the head to drop out the used blade and pop in the replacement. Combined with the spring mounted one touch blade holding mechanism, the Kamisori can be opened easily for cleaning and disinfecting. Perfect for the busy barber. The Dark Stag Kamisori Razor has a specially moulded replaceable blade razor head. This means you can choose your favourite brand of blades, as it can use any standard double edge blade. We cast the razor in the exact design of the traditional Kamisori razor, an homage to the 800+ years of Japanese barbering history. This design without the western scales is nimble and free from obstruction, making it perfect for shaping, styling and shaving your customers (or your own) beards and moustaches. The Kamisori is chrome plated, making it perfectly fine for use with disinfecting agents. The handle is made with the Dark Stag synthetic rubber compound, making it perfect to maintain grip, even in wet environments. What is a kamisori razor exactly? The kamisori razor dates back to more than eight hundred years ago, where it was used by Buddhist monks to shave their heads as a symbolism of Buddhist faith. The most glaringly obvious difference in eastern razors and western razors is the lack of scales (handle) for the blade to fold in to. This can make storing them and their portability a bit of a issue, but as long as this is thought of in advance it holds no major disadvantage. The blade of a kamisori is also shorter, an authentic one never exceeds two inches. The blade is also uniquely shaped for a more effective sharpening. If you prefer a western straight razor, why not the Dark Stag Premium Straight Razor.